Great read for those of us in leadership positions of churches. Enjoy! It’s not to get people together for meetings. Or to keep our theology pure. Or to defend our traditions. Or to look cool and appealing to the unchurched. But it’s easy to fall into one or more of those traps if we’re not constantly reminding ourselves what we actually do exist for. As defined clearly by Jesus himself in both the Great Commandment and the Great Commission, the church exists to love God and share his love with others. We’re not about meetings, denominations or creeds – although all of those have had and will continue to have a place. We’re about relationships. It is our calling and our mandate to introduce people to Jesus, connect those people with each other, then prepare them to help others meet Jesus, too. Through the command to make disciples, Jesus created a self-perpetuating system to keep the church alive, vibrant and adaptable. For 2,000 years and counting the church Jesus started has been the most relentlessly growing, most adaptable, most life-changing, most liberating organism in the history of the world. Despite all the cries of alarm and concern, the church is not in trouble. It’s not dying. Its best days are not behind us. The church is alive and well, with far greater days ahead than any we’ve seen come and go so far. But the formats we’re currently using to accomplish those ends? Those are in trouble. Big trouble. The way we format the church experience, the expectations we have of people when they gather as the church, the top-down hierarchical structures that are so commonplace we barely see them any more – those are going, going and soon will be gone. Because we’re not supposed to be in the business of preserving those formats. And, in fact, to the degree that we try to preserve them we will continue to sap precious resources away from doing what we should be doing – helping people find, love and serve Jesus. We need to rediscover and re-commit ourselves to being the church Jesus called us to be. Or, while we’re off chasing other ideas, someone else will offer a knock-off version that feels better than what we’re currently doing. Actually, that’s already happening. It’s been happening for 2,000 years. There’s always some version of “almost church” that’s ready to give people an “almost” version of Jesus. There’s always some version of “almost church” that’s ready to give people an “almost” version of Jesus, wrapped up in a greater sense of community than what many churches have. The church doesn’t own a monopoly on friendship, mission or caring. We have a monopoly on only one thing. Jesus. Christ is not found in our institutions, he is found in the church. In people who love Jesus, love each other and gather together regularly. That is de facto the only place to find, know and grow in Christ. People loving Jesus and loving each other is how Jesus said the world would be won to him. That’s who we need to be. The sermon for Sunday, Oct 21, was not recorded, so I am sharing my sermon notes for everyone who missed seeing the sermon. Enjoy! Introduction—Justification. A big Biblical word found throughout the Bible. A complicated word. A essential word. 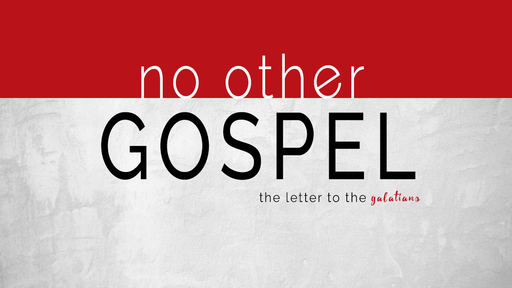 Today, we are going to step into the them of the Justified Gospel. The good news of Jesus and His awestruck love for all people on His planet. Now, as most of you know I am not a big wordsmith. I like simplicity. I try and connect with the masses. So, if you can please lean in today and pay close attention because I want to assure that if you can begin this process of living in a justified lifestyle, where you don’t hold grudges, you don’t assume the worst, and you don’t allow other people’s sin to knock you off your path. All the doctrines of the Bible are important, but none is more vital to the peace and rest of a child of God, than the Biblical truth of Justification. The follower of Christ does not get to the peak of Christian joy, until we appreciate and appropriate this grand aspect of grace. Forgiveness is amazing; pardon is wonderful; cleansing is powerful; but Justification is the greatest experience in my theological opinion. In Paul’s day, and during the reformation period of the 1500’s-1600’s, and even in our day, it would be difficult to find a more central truth to our historic Christian faith than the doctrine of justification. Galatians 3:2—I would like to learn just one thing from you: Did you receive the Spirit by the works of the law, or by believing what you heard? Notice with me, that Paul distinctly uses a participle for you English gurus. He doest just say faith, he says the faith. You may have a translation that doesn’t use a participle until the second part of the verse. It may say this faith or the coming faith. It is the same meaning behind the language Paul purposely id using here. He is really talking about the time before our Christian Faith came to be. Before the coming of the faith. What about it. We were prisoners under the law. Why? Wasn’t the law given to Moses by God to give to the people? Yes, but I remind you; the law was given to in order for people to know what sins were so we could know how to live. The law never intended to save people, but point people to their need for God. Paul says, while we wait for a Savior, we are under the law, as if we are in a prison cell. When you think of a prison cell, you think of an awful place, with no freedom. But what you don’t realize, in jail, you are protected from yourself. You can no longer be free to create havoc in society. So Paul compares our time under the law like being in jail. Protected, out of trouble, until you could be trusted to go free. Not actually a bad thing. The 10 commandments are a good thing, keeping us in line with the requirements given by God so that we could ask for forgiveness when we sinned against Him. If you are here today, and you have never trusted Jesus as your own personal Savior, then you are still in custody of the law. You have rules and regulations to follow in order for you to have a relationship with God. But Paul reminds us that we no longer have to live like that. Verse 23—Until the Faith was to come and be revealed. The faith is Jesus the Christ. Once He came to offer freedom from the law. Without Jesus in your heart and life, you are being held in custody. Jesus has come and Jesus has reveled Himself to the world. Jesus is the most loved, hated, and controversial person to ever walk the planet. Verse 24—So the law was our guardian until Christ came that we might be justified by faith. Here is the million dollar word—Justified. We are under the law no longer because Jesus has justified us if we have faith in Him. If you are here are you claim you have faith, yet your actions speak otherwise, how does one balance those 2 things? Listen to me this morning. You will always let others down. You will always be in a sinful temporary body while you are here. So at times, we won’t appear to be related to Jesus. We do things that are against God. We are still sinners saved by grace. The great thing about justification is in how it relates to our relationship with Christ. This is so important for us to know. The word justified means “pronounced or treated as righteous.” For a Christian, justification is the act of God not only forgiving the believer’s sins but imputing to him the righteousness of Christ. The Bible states in several places that justification only comes through faith. Justification is not earned through our own works; rather, we are covered by the righteousness of Jesus Christ. The Christian, being declared righteous, is thus freed from the guilt of sin. Justification is a completed work of God, and it is instantaneous. Once a person is justified, there is nothing else he or she needs in order to gain entrance into heaven. Since justification comes by faith in Christ, based on His work on our behalf, our own works are disqualified as a means of salvation. There exist vast religious systems with complex theologies that teach the false doctrine of justification by works. But they are teaching “a different gospel—which is really no gospel at all”. Aren’t you thankful for justification today? Are you thankful? All you need is faith in Jesus to be justified by God. Verse 25—Now that this faith has come, we are no longer under a guardian. You too can live under the doctrine of justification. You love God by following the law. Then, when you break the law, you go to jail for sinners. You wait there until you have asked for forgiveness so that you can have your freedom for a short time again. You break the law again, and you become a prisoner over and over again and again, in and out of jail. Then one day you realize that you can no longer continue to do this cycle of in and out of jail, so you decide it is easier to stay in jail, apart from God, since you seem to never please Him. Church is no longer important, praying no longer exists, and the Bible is out of the question because no one can measure up to that. Then, one day a crisis of belief come into your universe, and you find yourself searching for answers, only you tried the God thing already, so you look to human wisdom, and then you try other options. Trying harder. Talking to people. Researching the internet. Working more. Investing in support groups. You see where I am going. The Faith has come to set everyone free, including you, from the curse of this wheel of circling that never ends. It is time to let Jesus be in control. Not the religious Jesus you were taught about in your past, but the real Jesus. The real justified Gospel. Application—How about you? Have you been justified? Are still trying to set yourself free with acts of good will? Are you still in custody of the law? Jesus is the only freedom that can change your destiny. Give Him your life today! Verse 26—Those famous words repeated over and over throughout Paul’s writings—IN CHRIST. When a repeat theme is continuous in the Bible, it is so we won’t try and figure out some other Gospel. The true gospel is “in Christ.” In a relationship with Jesus. Verse 27—A picture of how you are to live “in Christ.” Baptism. When a person is baptized in Christ, they identify a transformation that has taken place on the inside. Paul say when we are baptized we are clothed with Christ. We put on our new clothing. We identify with Jesus. Baptism is not salvation but a symbol of it. Salvation is what happens when a person opens up their heart and asks Jesus to be the Lord of their life. Baptism is an act of humble obedience of identifying with Jesus. We put on our new wardrobe. To be clothed with Christ means to be like Christ. Verse 28—This verse is one that unifies all believers in Christ. We will still be Anglo, Hispanic, Black, Asian, other differences that make us Unique, but they are no longer significant in our new identity in Christ. The Christian is now brother and sister with any and all who also claim Jesus as their Lord. You now assimilate based on the Jesus identity, and not so much as a Mexican, Black, or White person. Look at City Church Del Rio. The make up we have here is representative of this verse. We identify with each other as followers of Christ, not follows of what our culture tells us. So, if Paul were writing to the American church today, which is but the way still very segregated by ethnicity, he would say: there is no longer Hispanic, Black, White, or Asian, your now brothers and sisters in Christ first! We must not get caught up in that non-sense. We will exalt the name of Jesus here, in order to win all, no matter ethnic background, color of skin, social-social-economical status, etc., etc. Jesus wins out at City Church. Men will not be elevated above women, and women will not be elevated above men. Jesus will be elevated above all. Oneness in Christ is the call of us that want to see the Justified Gospel proclaimed. Verse 29—Paul reminds us once again. We are the people of promise. We are in the lineage of Abraham. We are heirs to the throne of Jesus. Just as a body, though one, has many parts, but all its many parts form one body, so it is with Christ. 13 For we were all baptized by one Spirit so as to form one body—whether Jews or Gentiles, slave or free—and we were all given the one Spirit to drink. 14 Even so the body is not made up of one part but of many. We are on body in Christ, made to unite in a higher calling in order to fulfill God’s purpose through His church. Application—Do you have the assurance that you are part of the promise? Today is the day that God has called you into His Kingdom inheritance. All you need is faith to believe it.